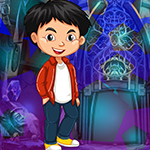 G4K Handsome Boy Escape is another point & click escape game developed by Games4King. A handsome boy lived in a small town. One day, that handsome boy went to see a beautiful city nearby. But then, he got unexpectedly stuck in a house there. Your duty is to rescue the handsome boy. It will help you to find the hidden clues in the form of colours and numbers and to find the items where the handsome boy is to save him. Find them all and solve all puzzles to save the handsome boy. Good luck and have fun! must take advantage of a bit of spare time I have (& a working internet connection as long as it lasts) to play this one live - anyone else to join me? Thanks alpha for all the comments but they don't help a bit. I am stuck with a red flower and a paper with 9 numbers. nothing works anywhere and can't find anything else to do. Paper with nine numbers has a back side.